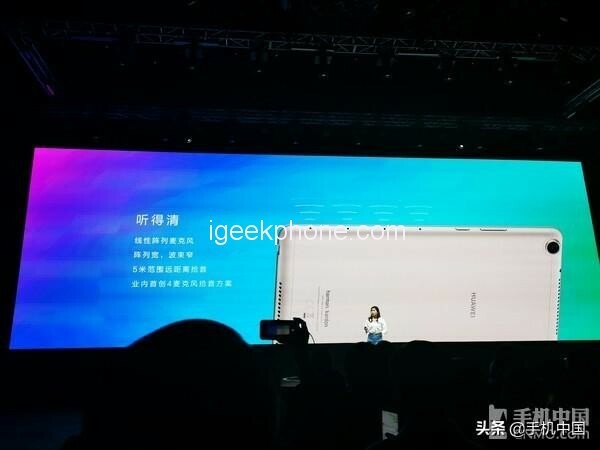 At the Huawei new product launch conference on March 25, Huawei also brought us a brand new HUAWEI Mediapad M5 Lite (8 inches). 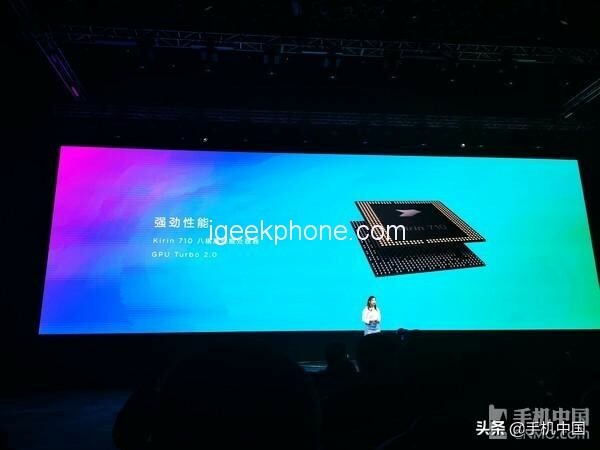 The product is equipped with an AI smart voice, with a strong performance, suitable for entertainment. 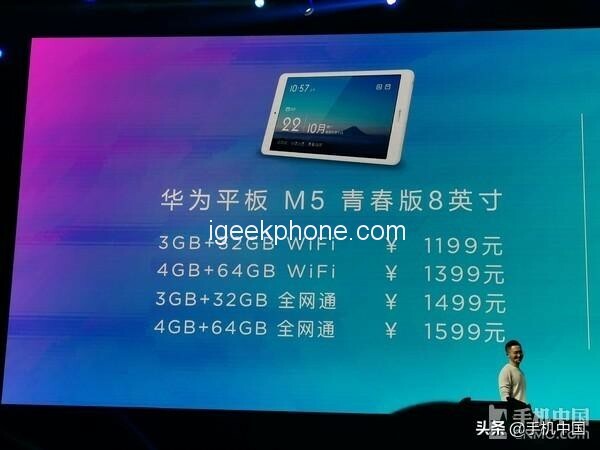 Huawei Tablet M5 Youth Edition (8 inches) equipped with a linear array of four microphones. In terms of design, HUAWEI Mediapad M5 Lite (8 inches) uses an 8-inch 1080P screen, the back is made of metal, and the weight is as low as 310g, which can be held with one hand. 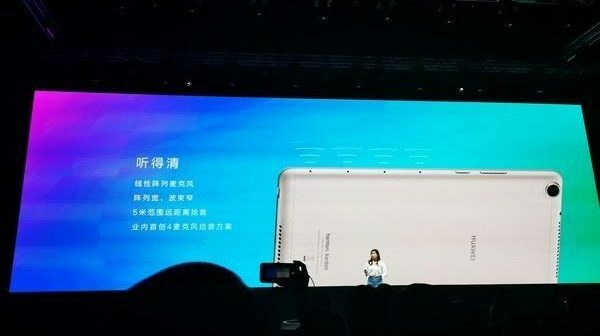 In terms of performance, Huawei Tablet M5 Youth Edition (8 inches) is equipped with Kirin 710 chip, which supports GPU Turbo 2.0 graphics acceleration technology, and gamers can also get a smooth gaming experience through this tablet. HUAWEI Mediapad M5 Lite (8 inches) equipped with Kirin 710 chip Tablet PC’s battery life performance is equally important, Huawei Tablet M5 Youth Edition (8 inches) built a 5100mAh battery, to meet 10.6 hours of high-definition video playback. HUAWEI Mediapad M5 Lite (8 inches) has deep gray, champagne gold and other color combinations and multiple versions are available. WiFi version 3GB+32GB price 1199 yuan ($178.65), WiFi version 4GB+64GB price 1399 yuan ($208.45), the entire Netcom version 3GB+32GB price 1499 yuan ($1499), the entire Netcom version 4GB+64GB price 1599 yuan ($238.24).